Both the federal and state governments are reporting increases in the pace of employee retirements in recent years. The causes are complex, including everything from a bulge of workers hired in the 1960s and now retiring to flattened public sector salaries and furloughs. However, in at least some instances, part of the motivation is that employees who have maxed out on their pensions may have a financial incentive to retire (or even find jobs in the private sector) in order to begin collecting retirement benefits. In some instances, the increasing pace of retirements may even be welcome. For governments facing budget shortfalls, they may result in opportunities to shrink the workforce, or at least to replace highly paid senior employees with junior employees paid at lower rates. However, in at least some instances, the surge in retirements has caused shortages in employees with much needed experience, and/or transitional issues when senior employees are not able to train more junior people before leaving. However, to the extent that employers want to modify their retirement systems to encourage more employees to stay on, what are the options? One alternative that is probably not available is reduction of previously promised pensions for existing employees. While governmental plans are not subject to the ERISA provisions that prohibit reduction in accrued pension benefits, they are often subject to even more onerous provisions under court interpretations of the federal and state constitution, which may even prevent reduction of the existing benefit formula in calculating future benefit accruals for existing employees. 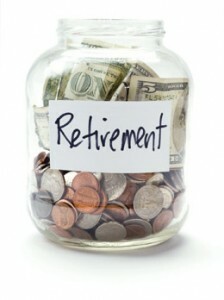 One alternative that has received increasing attention is phased retirement. At the federal level, Public Law 112-141 was passed July 6, 2012. When implemented by regulations, it is supposed to allow for certain long-service employees otherwise eligible for retirement to continue in employment on a part-time basis. Employees participating in phased retirement will be paid for the part-time service they continue to provide the government and will receive additional credit for that service toward their full retirement. These employees will also begin receiving annuity payments, consistent with the retirement benefits they were entitled to prior to entering phased retirement status, pro-rated for the portion of the workweek they spend in retirement. State governments are not, of course, affected by changes in the federal retirement system. However, the Pension Protection Act of 2006 provided them with greater flexibility to implement their own phased retirement systems. Historically, defined benefit plans (the predominant form of retirement system for state and local governments) were not permitted to provide benefits for employees who had not reached normal retirement age or quit work altogether. However, Section 905 of the Pension Protection Act added a new section 401(a)(36) to the Internal Revenue Code, specifying that a plan could permit retirement distributions beginning at age 62, even in the case of an employee who continued to work. While a retirement plan is not required to provide for in-service distributions, the language granted plans increasing flexibility to structure phased retirement arrangements. Another possibility is a deferred retirement option plan, or DROP. In a DROP, an employee who has reached retirement age (and perhaps maxed out on pension accruals) can elect to continue in employment. Instead of receiving further accruals under the employer’s defined benefit plan, the employee can be credited with a specific number of dollars each year, which amount is put into a separate account for the employee’s benefit. In effect, that employee has a defined contribution plan for the final years of service, in addition to the defined benefit plan for the earlier years of service. Further information on the structuring of DROPs can be found at this link. Clearly, each of these options imposes additional costs on the retirement system in question. The question for governmental entities and their retirement systems is whether there are corresponding financial or other advantages to retaining senior employees. That question must be resolved on a case by case basis.